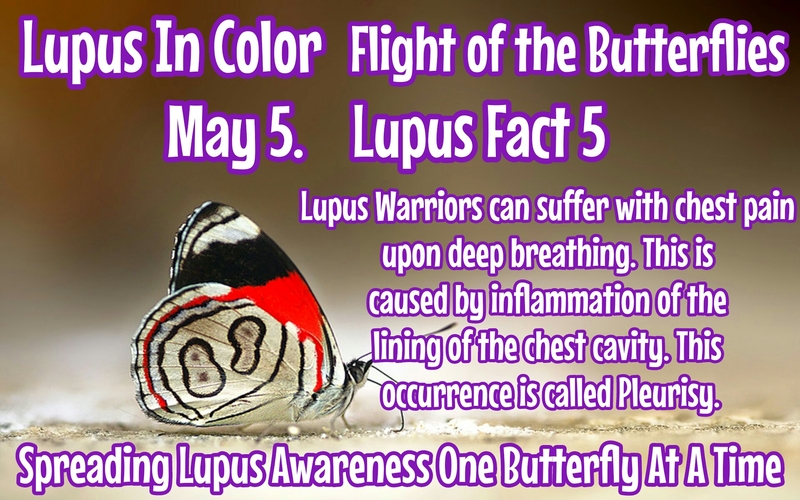 Lupus Warriors can suffer with chest pain upon deep breathing. This is caused by inflammation of the lining of the chest cavity. This occurrence is called Pleurisy. This is your fifth butterfly of hope.